Appearing as a guest on CBS’s Sunday program Face the Nation, liberal Georgetown University professor Michael Eric Dyson used the Donald Sterling controversy to make an unnecessary and disgusting swipe at Congressman Paul Ryan (R-WI). Dyson, who is a regular guest on MSNBC, made his hateful comments in response to moderator Bob Schieffer wondering why it took so long for the NBA to take action against Sterling. I think, look, it's difficult to prove implicit racism or comments made in private that don't necessarily bleed to the public. Although we know that he settled a pretty large lawsuit. But to really move the needle on race in that regard by holding somebody accountable means that usually has to flare up in the situation that has occurred now. Because people say well race is a card. People play the race card it's not a card it's a condition. More likely a continuum. 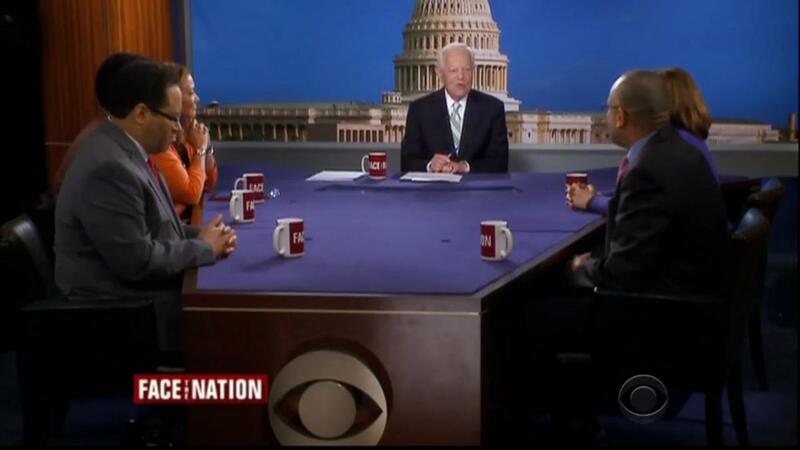 No one on the panel, including Schieffer himself, bothered to condemn Dyson’s slanderous remarks, and allowed him to attack Ryan without question. MICHAEL ERIC DYSON: Right. I think, look, it's difficult to prove implicit racism or comments made in private that don't necessarily bleed to the public. Although we know that he settled a pretty large lawsuit. But to really move the needle on race in that regard by holding somebody accountable means that usually has to flare up in the situation that has occurred now. Because people say well race is a card. People play the race card it's not a card it's a condition. More likely a continuum. And I see a relationship between what Paul Ryan says when he talks about inner-city people who are urban with all the code words being articulated and the kind of Cliven Bundy expression to the kind of Donald Sterling. Only when there is a kind of conflagration and there’s a flash point do we then galvanize our energies either pro or con and we begin to talk about what’s happening here. So I think Donald Sterling has never been held accountable in quite this public a fashion.